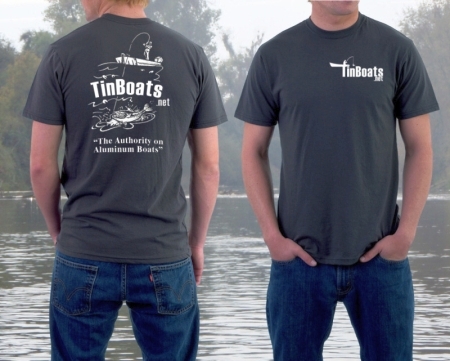 I am going to be selling TinBoats gear to help pay for the site. I will have Shirts, Decals, and 36 inch heavy duty decal Rulers for sale for now! This is the only way to support the site as of now. I have Shirts for sale that Range from Small to 2XL, and they come in a variety of colors. I ask that you send me an email at admin@TinBoats.net or PM me on the forum to ask me what colors and sizes are available. We started out with Black, Navy, Forest, and Maroon. I have a few left. Shipping for the shirts will be $5.15 for one shirt and $1 extra for each one after that. I send them out as cheap as possible. If you want Insurance and tracking, that will be on your dime. Let me know. The decals will come in a regular mailing envelope via snail mail. They go out the next business day. Paypal $5 for each decal you want to admin@Tinboats.net and put your name and mailing address in the comments field and which decal you want. No paypal? Email me at admin@TinBoats.net and we can figure something out. 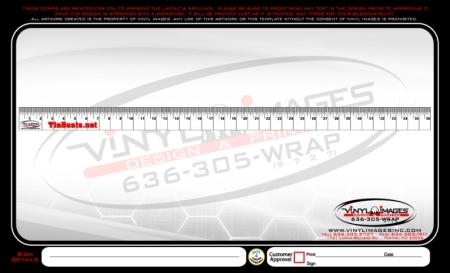 The Rulers are heavy duty vinyl decals that are 36 inches long made by board sponsor VinylImagesInc just like the decals above. These will be $6 each plus $2 delivery in a padded envelope. These rule! No pun intended. Purchase a Shirt and You can get a decal for $4 and ruler for $5 with no additional charge for shipping. No limit on how many you can buy either. Please email me at admin@TinBoats.net or PM me on the forum with what you want so I can confirm I have it in stock! Thank you so much for helping support the site!